Agricola Redesign | Rearrange? Reupholster? Or Replace? Reuse items in your home. Create a beautiful centerpiece using a tray or scarf for a layered look. 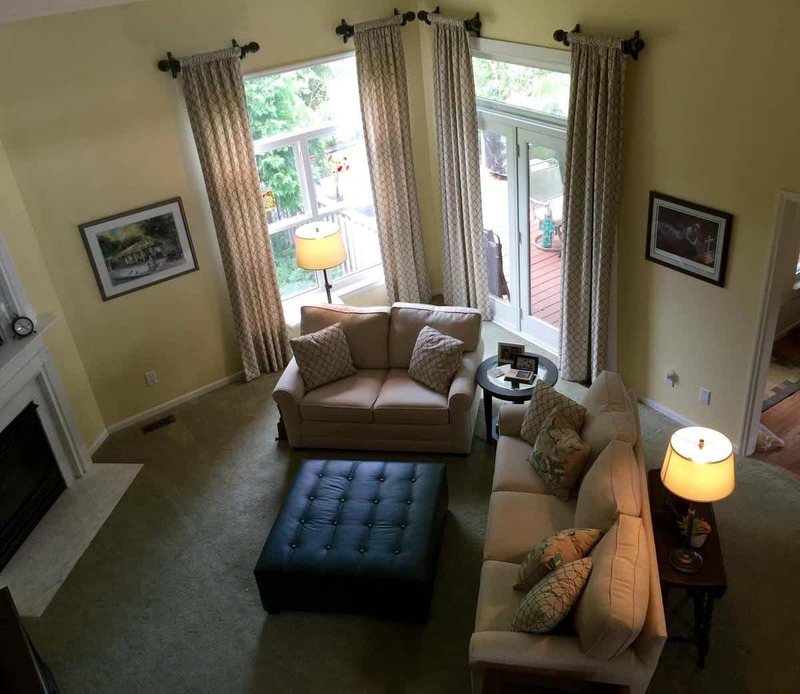 A lot of our clients ask us about whether they should reupholster or replace the furniture in their homes. 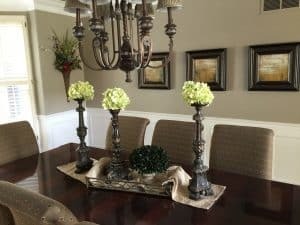 While we’re always open to bringing in a great new piece (or two) of furniture into a home or having our upholsterer look at a special piece, there are a few things to remember. In our last blog post, we talked about how it isn’t always what you own, but how it’s arranged. Does your furniture need to replaced, reupholstered, or is it just needing a new placement within the room or fresh pillows and accessories? Your items may not need to be replaced – simply rearranged and given some fresh accessories. When it comes to reupholstering, the average price is based on the number of yards it takes to cover the piece. If you have a small sofa, it could take 11 yards of fabric. The cost of fabric per yard, plus the cost per yard your upholsterer will charge, is usually more than it would be to just replace the soft. Our advice: If you love the piece of furniture, or it’s an heirloom piece with sentimental value, then yes, have it reupholstered. If you decide not to reupholster consider new accent pillows or legs to update the sofa you already own. Work with a redesigner. These experts will get you started by making sure your furniture is placed properly in the room – and this may be all it takes. Try to update the look of your pieces with trays, scarves, and accessories after redesigning your spaces. Use a reupholsterer that has been referred to your by your designer, friends, or family. This will help to ensure that the (sometimes costly) work is being done correctly. 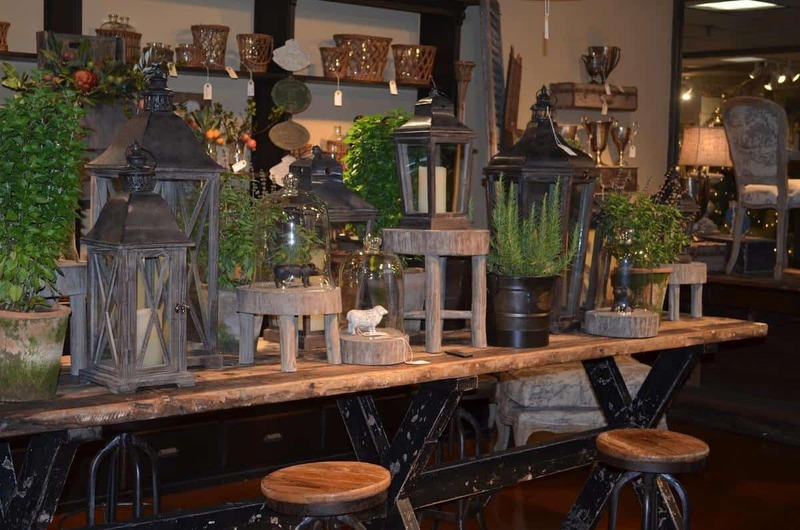 When looking for items to inspire your home decor, stop by A Village Gift Shop at the Century House to find what you’re looking for. We carry clocks, lamps, trays, and a variety of accessories! Check out our lanterns and greens at A Village Gift Shop. The staff is always able and willing to help create a wonderful display for your home. 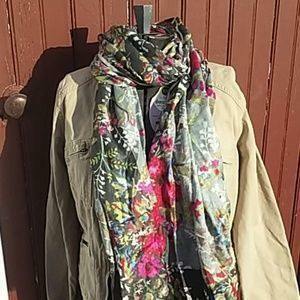 Use a scarf, like this Mon B scarf, to inspire home decor or to use as a table runner. Find at the store for $29.99.